We don't make them till you order them. Our secret recipe provides the perfect balance of a crispy outside with a fluffy and moist inside. The glaze is a heavenly blend of sweet vanilla and creme. 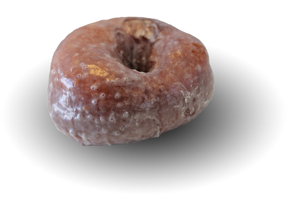 This truly is the wolds best donut. Just call to order. It's best to call a day or 2 before you want the donuts. We make your donuts fresh when you order them. We Deliver free within the Daybreak community located in South Jordan Utah.